Subscribe now to get my latest videos and podcasts! 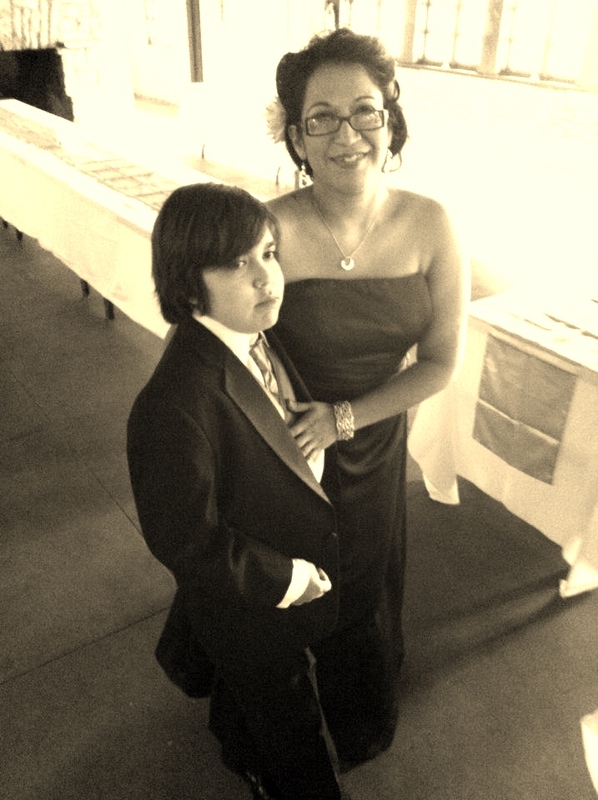 I’m Gloria, and I raise an adolescent with moderate-severe autism while also living my daily life as a paid advocate, organizer, activist, woman of color, single woman and so on. I am divorced and always trying to maintain a coparenting relationship with my ex with the complication of distance (we live 1300 miles apart now), other relationships/significant others/obligations, work/careers, finances, and most of all, a child like ours with serious needs. My marriage and relationship took a serious nosedive after our son was diagnosed with AU. I don’t say that to scare parents, but hopefully to shed some light on the different grieving experiences that an entire family can go through when faced with a child with lifelong needs. It IS a loss of what you dreamed would be–and no, that doesn’t mean our children are worth any less. But it is the truth and some of us take a little longer than others to give up that dream. I for one didn’t know I even had a preconceived notion of what a child of mine was going to be like–but now I understand how strong that idea was and how it permeated everything I did for him. So parents do grieve–and we will go through cycles of that grief with every missed milestone. I have an especially hard time around the holidays because it’s taken so many years for my son to understand how to open presents, or care about it at all (trust me, he cares now!). I also have a hard time hearing of friend’s children’s accomplishments because it’s so hard not to compare when my child’s development is so much more scattered and slower–I may be working on the same thing for years to see progress where my friend’s kid might get it in a day. THAT is hard. And some of us AU parents will get stuck in one phase or another or return to that one in a time of uncertainty about our child. This is all normal. In my marriage, I ran, he ran, we fought for services and therapies and we fought each other. None of it was fair but we did the best we could with what we knew at the time. My ex and I divorced 2 years ago after a 13 year marriage and 16 year relationship. Yet we remain friends and confidantes and as much as we know we can’t be together as partners, we nonetheless have to “partner” to dissect the minute details of our son’s intense needs because Aidan can’t communicate those to us. It’s nowhere near the typical divorce and never will be, precisely because of our son’s disability. Some days it gets very ugly and some days it’s just okay. It’s NEVER easy! You can never really divorce autism. And, to make you laugh, the following Loretta Lynn and Conway Twitty song is a funny example of how my ex and I get along and what we (sometimes) think about each other. You have to laugh, because life can be very, very long. Kathryn Burke, author of "Accidental Advocate"